Interested in Android Tablets? 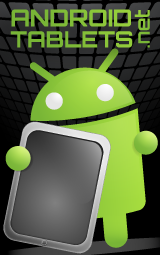 Why not head on over to the Android Tablet Forum! The Android.Net Video Forum. This section contains all video discussions. If your phone isn't listed, please post in here and let us know so we can add a new category! If your trying to gain superuser privileges on your Android Phone, this section is probably for you. This area contains all general rooting discussions. You may also of course check out the more specific section for your particular handset in the model specific categories below. If you are looking to develop custom Android Theme's or just download them, this is the section for you. All general Android Theme discussions belong in here. You may also of course post any theme discussions that are model specific in the more appropriate sections below. Interested in developing for Android? This section is for you! MyGica is a Supporting Vendor! Found a good deal on an Android Phone? Share it with the community! Post all deals, bargains, specials in here. Android Hardware, Accessories, Phones, Devices For Sale. This section can contain links to Ebay, Craigslist and more. Note Android.net is not responsible for any transaction. Please proceed with your own risk. Looking for specific Android Hardware? Post it up in here. Looking for Android Work? Looking to hire for an Android Project? Post up the job in here. If you are interested in discussing the upcoming Chrome OS be sure to visit the Chrome OS Forum. If you are interested in discussing the upcoming Google Chromebook be sure to visit the Chromebook Forum. If you are interested in discussing Google TV be sure to visit the Google TV Forum. Most users ever online was 6,296, 02-16-2019 at 09:34 PM. Also, an additional question, having uninstalled Kingroot has that taken away my root capabilities? If i want to make additional modifications to the strategy do I have to reinstall? 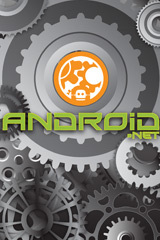 Get the Android.net Android App Today - FREE!